One of my favourite projects was undoubtedly Seahawk, the 60 metre ketch built by Perini Navi in 2013 for which we did the interior design. 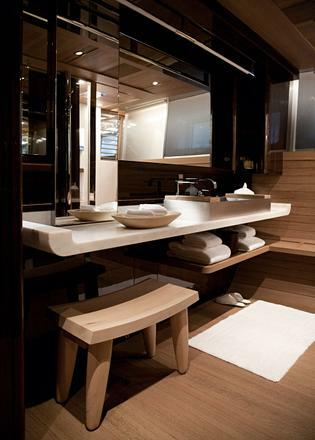 The clients came to us after seeing Rosehearty, another Perini Navi sailing yacht whose interior we oversaw. They were hoping for exactly the same look, and while we explained that it was impossible to mimic, we were happy to follow a similar theme: that of a classic design revisited. The resulting aesthetic combines traditional codes of yacht design with modern touches. We combined a lot of liquidambar wood with teak and a silver metallic paint. In joining architectural elements we focused mainly on using delicate curves to add sensuality to the interior. 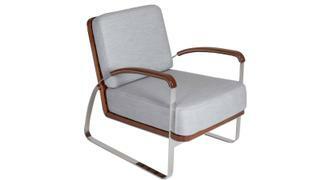 Almost all of the furniture was custom designed to ensure we achieved exactly the right look. I am very proud of the design, particularly the owner’s bathrooms as they feel like an extension of the master cabin. We used a lot of wood, and they feel far more like an interior cabin than a bathroom. 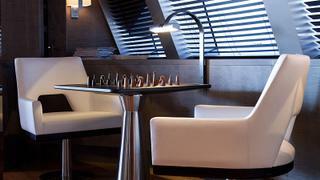 Overall, we achieved a comfortable, elegant, spacious interior within a high- performance sailing yacht. Varying shades of wood are used throughout Seahawk. 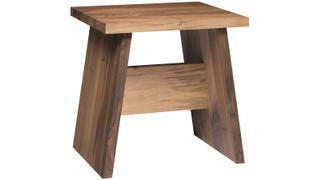 This Langley side table, by David Chipperfield for e15, will bring in a lighter hue. 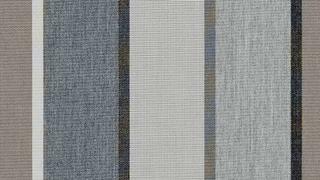 Replicate the elegant, muted tones of Seahawk with this striped Quadri Grey (100 per cent acrylic) Sunbrella fabric. 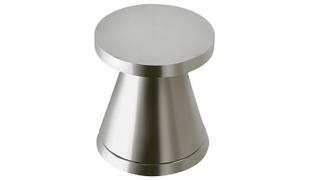 Invest in stainless-steel hardware in a contemporary style with this Nanz Company No 1732 handle. Made from solid teak and stainless steel and covered in your choice of fabric, the Baltic Lounge chair suits a classic yet contemporary interior. 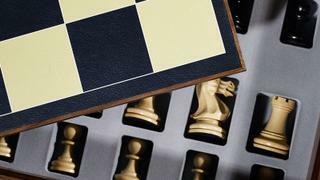 This sycamore and walnut David Linley Games Compendium would make a stylish on board addition.